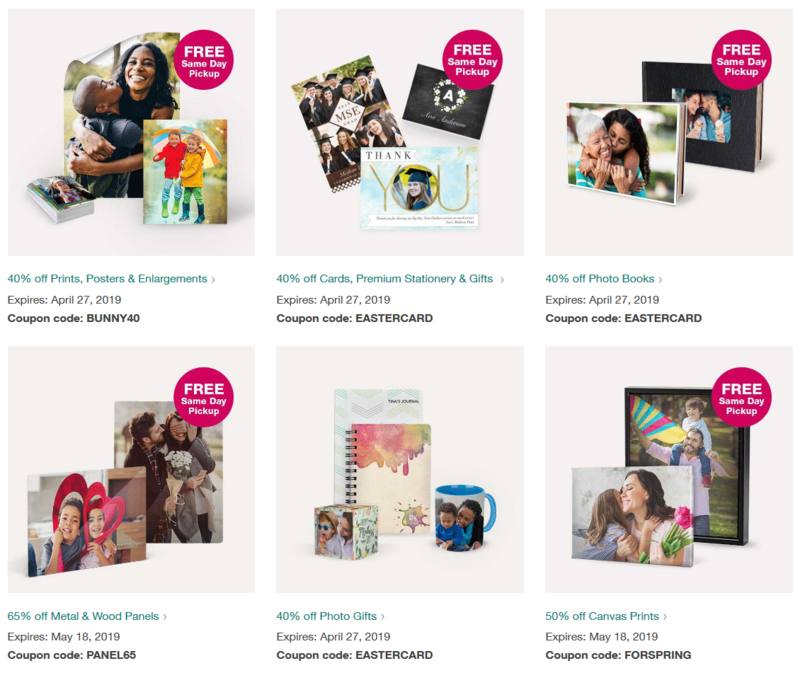 Get this week Walgreens Photo coupon codes and online promo codes, available online only. Find the current deals & promo codes for photo orders, and also check the Walgreens Coupons for this week. Offer not valid in store. Code must be entered at time of online or mobile checkout to apply discount. Offer not valid in store. Coupon valid for up to 5 separate uses. Up to three coupons can be used in one cart if no overlapping products exist in the offers being applied. – 40% OFF Prints, Posters & Enlargements. Use Promo Code: BUNNY40. Expires: April 27, 2019. Coupon valid for up to 5 separate uses. Up to three coupons can be used in one cart if no overlapping products exist in the offers being applied. – 65% OFF Metal & Wood Panels. Use Promo Code: PANEL65. Expires: May 18, 2019.